The following is a brief history of the various stops along the way to 1155 Market Street. On August 18, 1902, Josephine Rowan and her husband Andrew created the very first iteration of what is now LightHouse for the Blind and Visually Impaired, by establishing the Reading Room for the Blind in the basement of the San Francisco Public Library. Josephine’s brother was blind, and his experiences impressed upon Josephine the need for the blind to have access to books, magazines and other literature. Four years later the library burned down in the 1906 quake, and the Reading Room relocated to Jackson Street, where services expanded to include employment for the blind as basket weavers. By 1912, it was clear that services for the blind needed more space than the confines of a library, so the organization was re-incorporated as the “San Francisco Association for the Blind,” and in 1914, relocated to a small building on California Street between Larkin and Polk, with a small shop on Florida Street for a rattan weaving business known as “Blindcraft.” This move would prove invaluable, as the outbreak of WWI in August of 1914 pulled sighted weavers away from their work in an “all hands on deck” mindset to serve the war effort, allowing blind weavers to fill in this gap. With blind U.S. veterans returning from WWI in need of services, and an influx of people moving to the Bay Area, the Association continued to grow until 1924, when the Cowell family donated the land and building located at 1097 Howard Street, “to meet the employment and social needs of the hundreds of blind who came to us for their every need.” In addition to making baskets, the Association fulfilled government contracts, including splicing and tying knots in rope for the use of ships at the rapidly growing ports in the Bay. Read more about the Howard Street building. During the 50s and 60s, the San Francisco Lighthouse continued to grow its community and this included a blind drama group called Shadowplayers, which was established in 1953 and performed until 1990. By 1965, our mission coalesced into four principles: improving the employment, recreational and educational opportunities of the blind, while providing relevant services to increase blind people’s independence. By the 1970s just providing services to the blind was insufficient. Civil rights and disability rights were in the national consciousness and this naturally led to a growth in social activism. San Francisco Lighthouse supporters and employees were instrumental in the disability rights movement. In 1977, Gil Johnson was one of 150 disability activists who sat-in at the Health, Education, and Welfare Federal building at UN Plaza. The demonstrations hastened President Carter’s Administration to issue regulations implementing Section 504 of the Rehabilitation Act, a precursor to the 1990 Americans with Disabilities Act. At the time, Gil was San Francisco Lighthouse’s Director of Rehabilitation/Social Services, later he would become LightHouse Board President. In a poignant bit of history, the new LightHouse Building at 1155 Market stands just across the street from the old Federal Building which disability protestors occupied in 1977. Gil Johnson speaking at the 504 sit-in protests in 1977; Photograph by HolLynn D’Lil from her book, Becoming Real in 24 Days. In 1980 San Francisco Lighthouse moved to 1155 Mission Street—coincidentally the same street number as our new headquarters office on Market Street—with the intention of expanding our services to children and families with children who are blind. We also grew our Orientation and Mobility and Information and Referral departments, which today serve thousands each year. The 80’s were a critical time in San Francisco Lighthouse’s history and growth, as we became global pioneers in serving people with AIDS-related blindness. By 1984, we were committed to meeting the exponentially growing need for blind services during the AIDS crisis, and began looking for a location with more space. By 1987 our name changed once again, this time to “The LightHouse for the Blind and Visually Impaired,” and we consolidated all of our programs under one roof at Twenty 10th Street in SOMA. Then in 1993 we merged with the agency Rose Resnick had more recently headed, the Rose Resnick Center, incorporating Rose Resnick’s name for a time into our official name and relocating to 214 Van Ness Avenue in San Francisco’s Civic Center. Here we expanded our services to include more focus on community outreach and braille production. While LightHouse has had eight major moves in our 114 years, every move has been as intentional as our current move to 1155 Market Street. When Josephine Rowan started the LightHouse in 1902, she was concerned with making books accessible to the blind. As she continued to expand blindness services throughout the West, she developed a relationship with Helen Keller, who encouraged Josephine to grow her organization to include employment opportunities (Blindcraft), social gatherings (like Enchanted Hills Camp), and community events (like sponsoring the 1940 Golden Gate World Expo). As far back as 2007 the LightHouse began to imagine a new building that could house our growing services, and be technologically advanced enough to carry us fully into the 21st Century alongside our Silicon Valley compatriots. The financial markets had other ideas, and we were forced to table our dreams until interest rates lowered from more than 10 percent down to below 4 percent. Nine years later, in 2016, we are poised to move into our expanded headquarters, which will serve blind people from across the country and world. 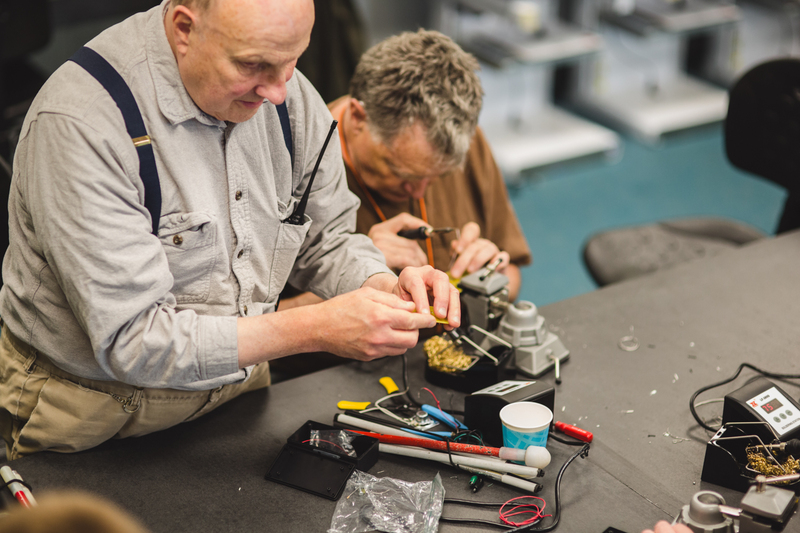 Our new location will enable us to teach more blind people the independence skills they need to thrive. We will be able to invite people to stay overnight while they participate in intensive blindness training—a dream 100 years in the making. Our technology and STEM labs will empower intrepid blind youth to engage fully in the sciences and technology fields that run Silicon Valley. Our outreach to Deaf-Blind individuals, while already robust, will be even stronger with the latest technologies for deaf and deaf-blind individuals. Already groups from across the world are eager to learn from and tour our new space, which is being globally recognized as one of the most subtly-designed buildings built by the blind anywhere in the world. And finally, our space is large enough to help support other organizations by lending space and shared resources. At LightHouse for the Blind in San Francisco, we are a leading provider of tactile maps – taking visual or graphical information and conveying it through raised line and textural media, making it possible to access the same information as others, without your eyes. To fully benefit from these maps, though, one must understand “mental mapping.” The ability to create mental maps in your head comes to many naturally, but like most valuable pursuits, requires practice and teaching. To that end we’ve developed the Tactile Maps Training Book, built on best practices and tailored around our maps, which serves as a teaching aid to help teachers unlock their student’s potential. Through hands-on exercises and activities, students will use these books to learn strategies for reading tactile graphics and understanding our incredibly informative maps. We provide an orientation to tactile map symbols, symbol recognition exercises and a variety of exercises around transit, campus and floor plan maps. Also available, the Tactile Maps Training Book: Audio Supplement. Intended for use with any of the Audio-Tactile Maps created by the LightHouse, this guide introduces readers to the Smartpen – how it works and how to use it, followed by a series of map exercises. To Order: Contact the Adaptations store at 1-888-400-8933 or visit us at 214 Van Ness Ave. in San Francisco. If you are interested in tactile maps or graphics, please contact Access to Information Services today at MADLab@lighthouse-sf.org. The following is one in a monthly series featuring the extraordinary people who make up the LightHouse staff. Katt earned her Master’s in Special Education with an emphasis on Orientation and Mobility at California State University, Los Angeles. Before she worked for the LightHouse she gained experience working as an O&M Specialist, and also unofficially began to learn independent living skills, which allowed her to more easily spot when someone needs additional training. If you’d like to brush up on your O&M skills, or if you’ve been holding off on learning them, Katt has some words of advice: “Take the leap and let’s laugh while learning.” Contact the LightHouse at 415-831-1481 to get started. Save the Date: The next Changing Vision Changing Life Immersion at Enchanted Hills is for adults who are monolingual Spanish speaking adults. The week will provide basic instruction in cane use; cooking; independent living skills; introduction to using computers and tablets (iPad); organization and labeling solutions and other resources for support. Most importantly, students will have the opportunity to meet others who are blind or low vision. LightHouse staff, Mentor Teachers and Volunteers will provide instruction in Spanish. We even have special funding for adults 55 and over who live in San Francisco, Alameda, Marin, Humboldt and Del Norte counties. But anyone whose primary language is Spanish and is blind or visually impaired may be eligible. Give us one week and you will change your life! There is no cost to attend if you are 55 or older and living in San Francisco, Alameda, Marin, Humboldt or Del Norte counties. For more information please contact Jeff Carlson (English) at 415-258-8496/jcarlson@lighthouse-sf.org or Robert Alminana (Spanish/English) at 415-431-1481/ralminana@lighthouse-sf.org. The LightHouse is also seeking qualified Spanish speaking Orientation and Mobility, Access Technology and Independent Living Skills Instructors for the week. Earlier this week I started writing about what it’s like to immerse yourself in our adult training retreat at Enchanted Hills Camp in Napa. Now that it’s over, you’d think it’d be easier for me to sum up in retrospect, but the truth of the matter is I’m still processing it all. The amount of information that was given to us was immense. The strength of personal connections made between all the students, aged 25-77, was unlike anything I’ve ever seen occur over the course of five days. The disparity between how we behaved when we arrived and how we behaved when we left was remarkable. The skills, tools, and adaptations we learned were all custom-made, personalized little gifts — in many ways, they won’t mean anything to our spouses or family or friends — and it’s hard to imagine ever describing it to someone who wasn’t there in a way that’s meaningful. But I guarantee that if you stumbled upon the twelve blind folks eating dinner at Gott’s Roadside on Thursday evening, you’d recognize immediately that they had been through something special together. But enough vagueness; if you’ve read this far I’m sure you actually want to know: what did we spend all our time doing? The truth is, we learned how to live on all levels, from the most mundane to the most abstract and emotionally elusive. Getting better at everyday tasks (which in these circles is called independent living skills or ILS) was, at least for me and a few others, a priority. For starters, we had an entire session dedicated to helping you find stuff. Boring as it may sound, these are the questions newly blind people find themselves agonizing over: If I drop a pill bottle, what’s the fastest way to find it? Can I wipe down a counter and be sure it’s clean? How do I put in the right batteries? How do I shave? With our training shades over our eyes for anyone who still relied on some eyesight, we were taken step by step through these everyday simplicities and reassured that, yes, there was an easy way to do all of them. Later on, we did this with cooking as well, cleaning, chopping, and preparing dozens of pounds of marinated vegetables for dinner, all the while learning blind-oriented knife skills, measurement and identification techniques. I was surprised to find that my cooking skills were better than I would have thought, and that discovery if nothing else was worth the class. Suddenly, when I get home, I wanted to cook again. At another session, we went in-depth on labeling and organizing, talking strategies but also getting hands on with solutions. Many blind people eagerly embrace new technology, but simple, low-tech hardware and quick dollar store solutions are still mainstays of everyday adaptation. Stickers, high contrast cutting boards, talking calculators, magnets, velcro, buttons, bumps, signature guides, safety pins, sock locks, knife holders, innovative dishware, extra-thin silicon oven mitts and above all rubber bands (for tagging shampoo/conditioner bottles, etc. ); there was a never-ending list of items to add to the efficient-living arsenal. These are things that blend in, seem obvious once suggested, but are also ideas I would never have come up with on my own. We also exchanged advice. How exactly do you deal with the grocery store? What do you do when your husband wants help dressing himself? How do you sort your clothes? We were all at different levels, and yet we could all relate. You’ve never seen a group so eager to talk about their dresser drawers. This is not to make it sound like it was all low-tech either. Personally, as a Mac person I’d been putting off learning JAWS, the screenreader software which is PC-only and also happens to be the industry standard for word processing. To me it seemed daunting, unnecessary because I am low vision and not totally blind. And yet, put me in front of a PC and I’m admittedly useless. To my surprise, our tech instructor Julianna had me up and running (and surfing Facebook) without any visual cues within an hour. That’s the power of having a human teach you how to do these things. It was about getting advice and giving it. If you knew something someone else didn’t yet, it felt good to share your strategy with them. Though the solution may be simple you could feel that the other person really deeply appreciated it. Tech solutions were different for different people. Some brought touchscreen devices, iPhones, iPads or laptops that they wanted to get better at using. Others learned how to load up their Victor reader (another portable, more tactile audio player) with documents, podcasts, books and news. For some, it was enough to learn about Wilson, the compact voice memo recorder that could help them keep notes and to-do lists, or the Pen Friend, a smart audio pen that allows to record your own labels. And with the absolute surge in the iPhone’s general popularity in recent years, the motto of the week seemed to be “there’s an app for that.” Nearly every month now an app comes along that can significantly change a blind person’s life. Apps such as KNFB Reader, Tap Tap See, Be My Eyes, and hundreds more have absolutely proliferated, and we couldn’t live in a better time for cool blind tech. This is what Sydney was responding to when she exclaimed with joy and relief in our very first solutions session. It wasn’t simply about taking down a list of items to buy, either. This was one of the first opportunities some of us had to try stuff out and see if it worked. You could sit down with one technology, play with it for a while, then try an alternative. All of it was at our fingertips, in one room, all week long. Because of the nature of my vision, mobility has not always been a problem for me, but even so I met with Katt Jones for a one-on-one assessment. We talked about everything to do with cane travel; some things I had picked up naturally but didn’t know the names for. She showed me a more elegant and efficient way to locate doorknobs. She corrected my technique approaching and scaling stairs. We talked about “how to train your human,” or in other words, how to help people help you. She took me to downtown Napa, where we walked back and forth across a massive intersection, analyzed the ins and outs of curb cuts, and then went to Trader Joe’s. Some things were new, and for the things that weren’t, it felt good to have a certified O&M instructor tell me confidently that I was doing things right. Even walking around the grocery store alone, I already felt more comfortable than usual, even if it was just in my head. There were also the more interpersonal, emotional discussions. What to do when a loved one says something hurtful, how to hold your own in household duties, and how to be honest and expect honesty back were all topics we explored. Then came the embarrassing stories, the stories about humility and moving forward with grace, the stories which will not be published here. 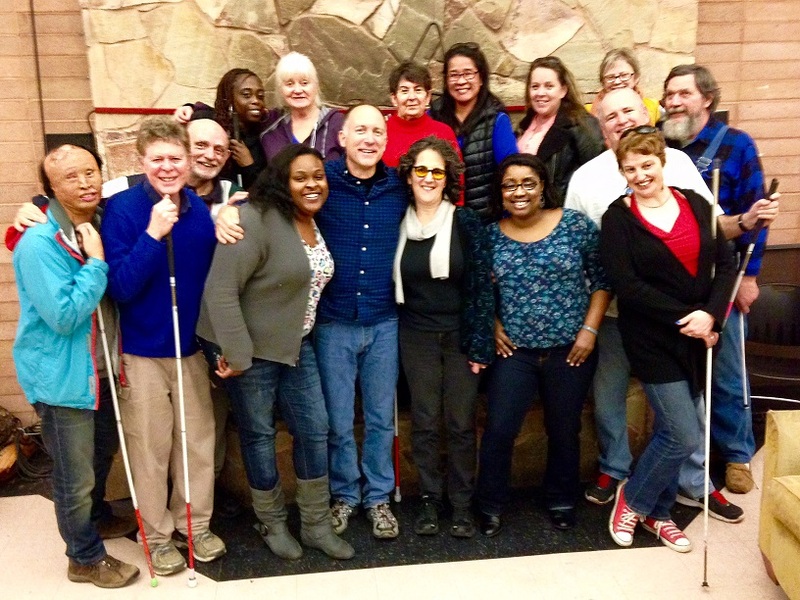 The week really showed the wide range of experience within the blind community. There were those with degenerative conditions, people who had been in accidents, victims of violence, and some with less explicable or diagnosable visual impairments. There were those who had lived full, vibrant lives and those who were just beginning their journeys. There were kids from low-income backgrounds alongside retired college professors. And all of them went through some sort of metamorphosis. For some it was just social, and for others very physical. There were adult students too timid to take one step on their own when they arrived Sunday evening; and within days, even 24 hours for some, they were calmly navigating the hills and paths of Enchanted Hills entirely by themselves. The big takeaway, for me, was that the best learning comes from peers and role models. Jamey Gump’s teenage counsellors in training were right there along side us most of the week, and it was pretty cool to see their training mirror our own. They looked to each other as everything from mentors to mere curiosities, and above all just people they could feel comfortable around. We all stood in a line on Wednesday night and did the “cookie challenge,” wherein contestants tilt their head back and race to get an Oreo from their forehead to their mouth with no hands. One of Sook Hee Choi’s deafblind students was the winner. Thursday night there was a talent show, which involved jokes, skits, a tap dance, and a no-holes-barred Billy Joel-esque piano ballad from Shane, EHC’s arts and enrichment counsellor for the summer. In the morning, all the kids and adults — each their on their own training program — mingled like happy campers. Kids who I had earlier assumed were completely blind approached and said cheery hellos to me of their own accord. And, kept busy every day from breakfast to sunset it wasn’t until about the time I left that I stopped and realized how much I’d been enjoying the whole week. A couple weeks ago, we wrote about how Google came to the LightHouse in May to run a series of usability studies. Today, we’re happy to announce that they’re returning again in July for an even more in-depth workshop. On Tuesday, July 21st the LightHouse for the Blind is hosting an all-day training facilitated by professionals from Google. The day will focus on how to use Chrome OS, as well as Google Docs and Drive Product suite using assistive technology. The event begins at 9 am. Lunch will be provided, and we will wrap up the day with a happy hour from 5 to 6 pm. When: Tuesday, July 21, 9:00 a.m. to 5:00 p.m. Happy hour from 5:00 to 6:00 p.m.
Chromebooks are highly secure, speedy, and affordable internet-based laptops. Google Drive, Docs, Sheets and Slides are powerful productivity tools for creating content, sharing content and collaborating with others. These products are increasingly adopted by educational and business organizations, and it’s important for blind and visually impaired users and instructors to be familiar with the accessibility features and functionality. This workshop will include demonstrations by Google staff, hands-on exercises on the Chrome OS and Windows platforms, time allocated to giving product feedback, and more. Lunch will be provided, and we will wrap up the day with a happy hour. Space is limited so register early to ensure a spot! To RSVP, contact LightHouse Deputy Director Scott Blanks: sblanks@lighthouse-sf.org, or 415-694-7371. In the LightHouse’s 113 year history bequests and other types of planned gifts have been transformative, allowing the LightHouse to flourish and grow as a leader in programs to empower the Blind Community. Over 500 gifts from estates, from small to large have been contributed to the LightHouse. We are now launching the LightHouse Legacy Society for those who have chosen to include the LightHouse in their will, living trust or other estate plans. LightHouse Legacy Society members will be recognized (if they wish) on the LightHouse web site, in our annual report, LightHouse News and on a special donor wall in braille and tactile letters. 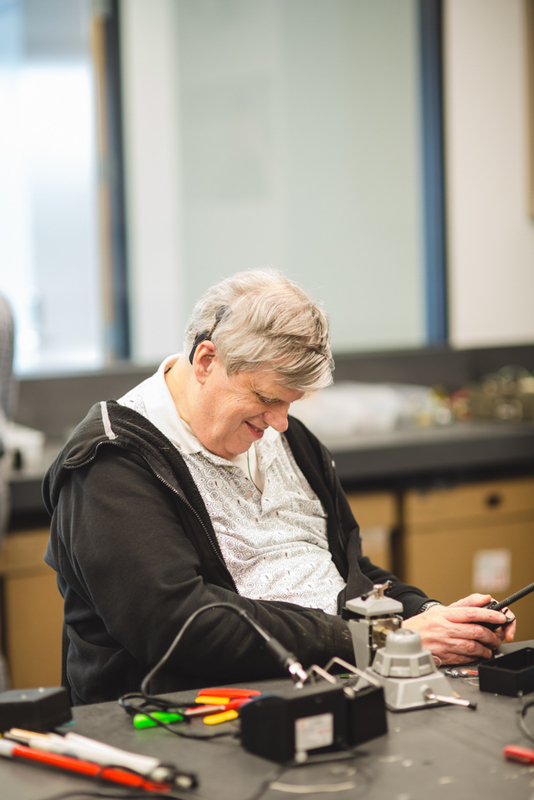 And LightHouse Legacy Society members will be invited to exclusive events, to meet peers and get an insider’s look into emerging technology and programs for the blind. As you can tell, it’s an exciting time at the LightHouse. As we grow and aim to serve three times as many members of the blind, visually impaired and deaf-blind community, from small children to elders, your involvement is essential. Our leadership in the field and our ground-breaking programs are possible because of donors like you. Are you interested in being an inaugural member in the LightHouse Legacy Society? Or would you like information about including the LightHouse or Enchanted Hills in your Estate Plans? Contact Jennifer Sachs at 415-694-7333 or jsachs@lighthouse-sf.org. Are you an adult who is experiencing changing vision? We invite you to join us for this week-long training in the fresh air and verdant grounds of our Enchanted Hills Retreat. You’ll learn a boatload of best practices for maintaining your independence while enjoying this beautiful setting. In the last three years the Lighthouse has offered the pioneering Changing Vision Changing Life immersion training programs at our Enchanted Hills Retreat in Napa. 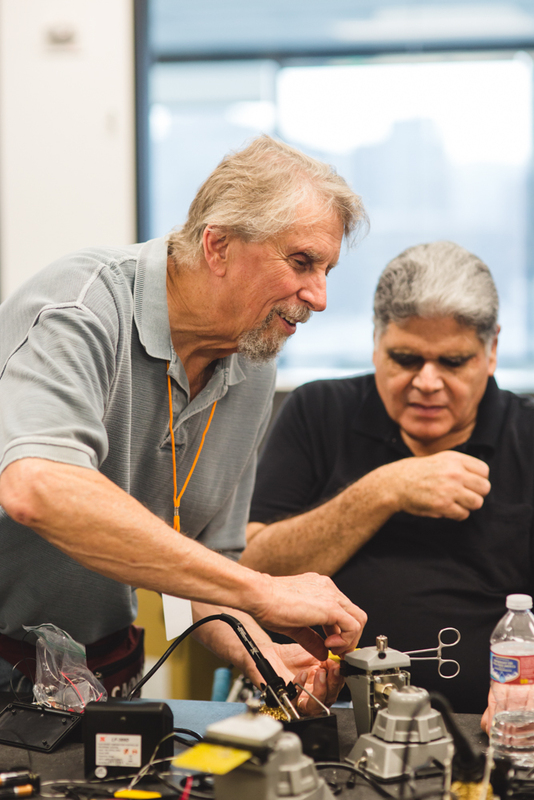 Each training session brings together up to 25 adult students of all ages, from Northern California and the Central Valley, who are either new to low vision or blindness, or have had a significant change in vision and have requested additional training. We invite adults to join us for this week-long training in the fresh air and verdant grounds of our Enchanted Hills Retreat. You’ll learn a boatload of best practices for maintaining your independence while enjoying this beautiful setting. These sessions are always free to participants 55 years or older, but you’ll need to make arrangements by calling Debbie Bacon by April 6, 2015. Some of the areas we’ll cover during the week include ways to read printed materials; understanding how lighting, contrast and magnification can help you every day; suggestions for organizing and labeling in your home or office; best methods for taking notes and keeping a calendar; basic cooking skills; traveling and moving safely and confidently in your home and in the community; managing finances; the joys of an accessible computer and other low tech equipment and more. We’ll also make suggestions on how to talk to your family and friends about what would help you best. While gaining new skills and confidence with changing vision is the overall theme of the week, the experience of coming together with other adults, both students and teachers, who are low vision or blind, to learn or relearn skills, and to get back into the stream of life remains a pivotal part of the week long experience. And it doesn’t stop there – we will also follow-up with you to see how you are doing and help keep you focused on what you’ve just learned. Our next Changing Vision Changing Life session is April 12 through April 17. Just call or email Debbie Bacon by April 6 at 415-694-7357 or dbacon@lighthouse-sf.org for more information. We look forward to seeing you at Enchanted Hills.